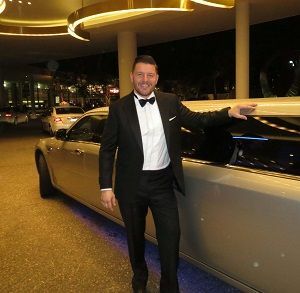 Lavish Limousines are Perth’s most renowned and trusted limousine hire company, where affordability meets luxury, style, comfort and service you expect. Let the memories begin before you’ve even arrived. We’ll chauffeur you around in style in our late-model Chrysler 300Cs that come as both stretch limousines and standard four-door models all of which have been tastefully customised to make them completely unique vehicles that you won’t find anywhere else in Australia. Lavish Limousines can cater for any event. Whether it is the transport to your big wedding day, a tour through the Swan Valley or a memorable way to turn up to your high-school ball; let Lavish cater for any event where the party needs to keep rolling. With extremely reasonable rates starting from $195 per hour, we’re your first choice for affordable limousines hire in Perth. 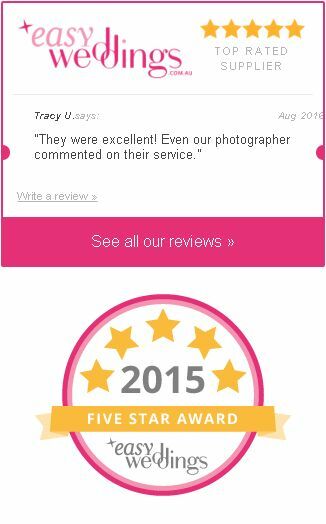 We always go the extra mile too, just take a look at our reviews on Facebook! 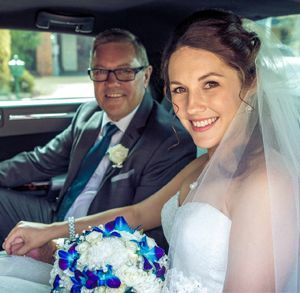 At Lavish Limousines, we’ve built our name on being the wedding limo hire of choice because of our fully opening rear bridal doors that allow for easy and graceful access in and out whilst wearing a wedding dress. We also have a stunning wedding package that throws in all the extra bells and whistles such as tyre shields to stop any mess from the tyres getting onto your wedding dress, a long and beautiful red carpet rolled out upon your exit of the limousine, champagne on the way to your wedding and so much more. It’s our pleasure to make sure our part in your special day goes flawlessly. So get your free quote from Lavish Limousines now. With a wide fleet of stretch Chrysler limos and Chrysler wedding cars available for hire, Lavish Limousines are more likely to have a vehicle available for your next event or special day than any other company, which is perfect if you need last-minute limo hire in Perth! 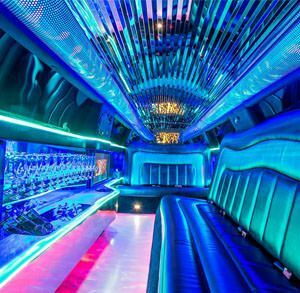 The Lavish fleet are fully equipped with all the trims and fittings you would expect from a limo hire, and more, with beautiful leather seats, dynamic LED lighting, crisp and powerful surround sound system, televisions as well as a bar fridge and champagne glasses so you don’t have to wait to arrive at your destination to get the party started. 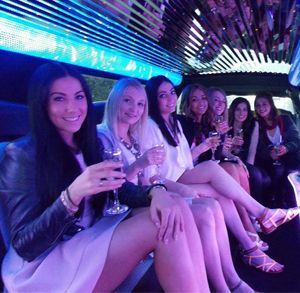 Call 9349 0455 or SMS 0416 074 116 to book your Perth limo hire today! Specialising in wedding limousines and wedding car hire, we understand that every bride wants her special day to be completely perfect. Our Chrysler 12 seater vehicles are the only ones to have special “Rolls Royce Rear Bridal Doors”. With the most luxurious wedding cars Perth has to offer, we create a package to cover all parts of your big day, making sure everything runs smoothly. Our limo hire Perth services are friendly, super-polite, sophisticated and professional and we aim to give you the most memorable experience that goes far beyond just the vehicle that you hire from us. It’s a joy for us to be a part of your special day or event and we want to do whatever we can so that you can make the most of the experience. Need some help with any planning or ideas for your next event? 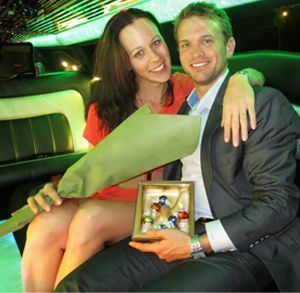 We’ve provided limo hire Perth to countless weddings, school balls, birthdays, anniversaries and more, and know that it’s the little extra touches that make them extra special. We provide a free consultation service to all our customers where you can meet our friendly staff and view our limousine fleet before you decide. Come and meet with Lavish Limousines – call 9349 0455 now to speak with one of our specialists, or click below for a free quote. Our limo hire Perth and wedding cars are of the highest standards, offering a luxurious and enviable experience inside and out at a some of the most competitive and affordable prices available. You truly get the best of both worlds with Lavish Limousines. Feel free to contact us for a free quote and you will be please to find that we have the most competitive limo hire prices in Perth. Our friendly and professional staff will discuss the best option for your special event. We will be happy to provide you with more than one solution so you can choose which will be more suitable for your needs. Your wedding needs to be perfect from start to finish and everywhere in between. That’s why Lavish Limousines are your best bet to making everything the way it should be on the most important day of any woman’s life. We know that organising a Wedding can be a stressful process, so let Lavish Limousines make your transport from destination to destination on your special day be the one thing that you don’t have to worry about. You and your wedding party will be pampered in style with champagne whilst surrounded by a luxurious and classy interior whilst being chauffeured around by a highly experienced limousine driver. The school ball is often the first and most important major social event that your kids will experience. It’s also the last time they’ll be together with all of their schoolmates at a major social function before they all go off in different directions to begin their adult lives. So, make their special night one to remember for years to come with the journey to and from the school ball in a luxury limousine. We have very reasonable school ball packages so get in touch now and get a free quote. Ask about the “Luxury Return Package” where they’ll be driven to prime photo spots such as Kings Park, South Perth foreshore and narrows bridge, Queens Gardens, Fremantle and Coastal drive. One of the must-do experiences in Perth is a day tour around beautiful Swan Valley which plays host to a seemingly endless choice of breweries, wineries and chocolatiers – organise a group of friends, throw on your Summer style and you’re bound for a good time, but how are you going to get around? An awesome day out can be spoiled by taking a big, clunky and poorly air-conditioned tour bus where you’re often not allowed to drink on the journey (which is why we go on Swan Valley Tours after all). That’s why hiring your own private 12 seater limousine for the day makes all the more sense and is quite affordable when split evenly among your group. Arrive at your corporate event in style by stepping out of a sleek Chrysler 300C Limousine with Lamborghini-style doors. Whether you are looking to impress important clients, organising a social event for your employees or making your way to an industry awards night, our corporate limousine hire service will exceed all of your expectations.